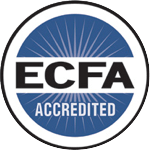 -Reflects the reaction of everyday Christians to the repressive forces of tyranny echoing in the struggle for religious liberty globally today. 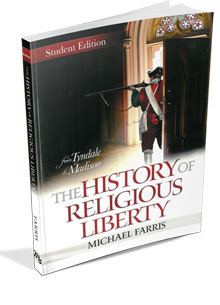 This special student edition was designed to be used with the History of Religious Liberty Teachers Guide. This student-friendly text has been enhanced with images of relevant people, places, and events! 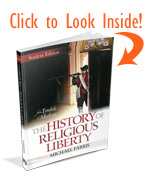 8/6/2015 – Would "The History of Religious Liberty" equal a 1 year history credit for high school?